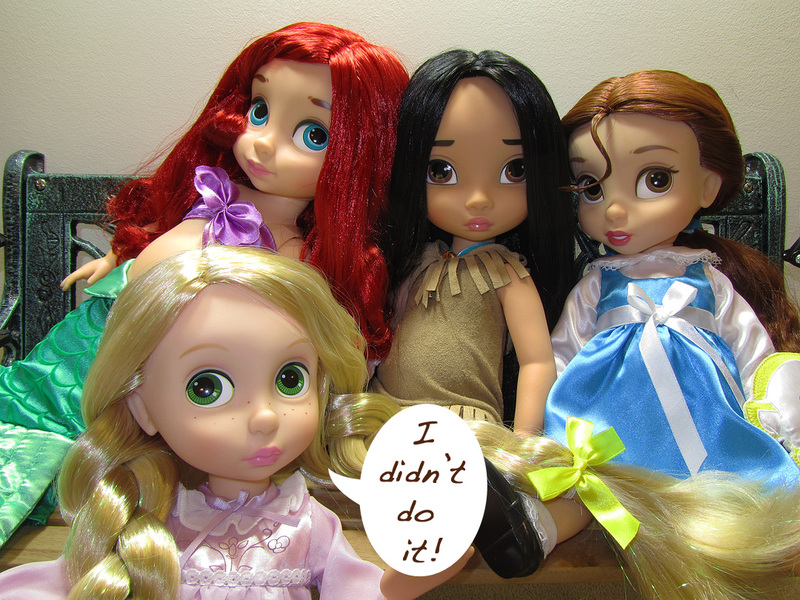 Doll Tale Thursday #17: It Was Rapunzel's Fault! Late last year, as my partner and I went for a stroll in the mall, I stumbled upon the cutest Disney doll I had ever seen. 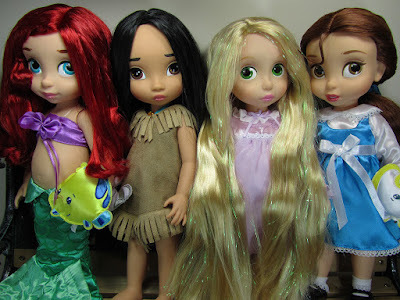 First of all, I don't collect...or rather, I DIDN'T collect Disney dolls. They just weren't my type. And secondly, I wasn't into toddler-looking dolls. Some of them creep me out. So, how did I end up with Rapunzel, you might ask! Well, she really was too cute to resist! One of my favorite fairytales of all time is Rapunzel. I've always been fascinated with long hair. When I heard that there was going to be a Disney movie, I assumed the worst. Disney has a bad habit of exaggerating or omitting things from plotlines. Surprisingly, it really wasn't so bad. The doll was definitely icing on the cake! As you can see, I'm having a hard time justifying how they ended up in my doll collection! 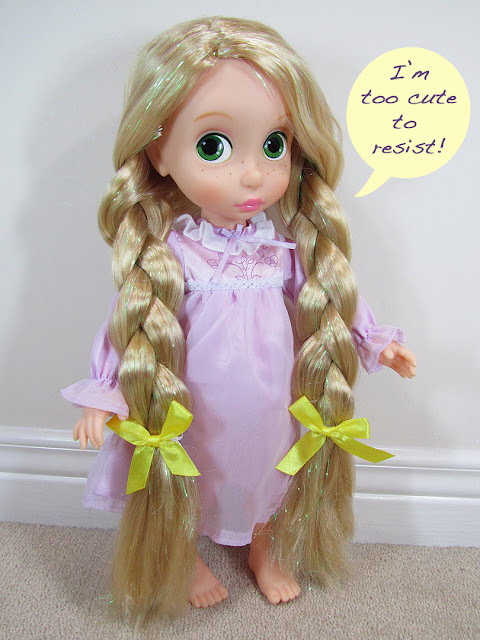 So, I'll just blame it on Rapunzel for tempting me! Funny, isn't it, how a doll, despite NOT being part of your aesthetic, can STILL reach out and tell you you're taking him/her home? Miladyblue, I am now in the hunt for Sleeping Beauty....how did this happen??? I hope they didn't put Aurora in that atrocious pink dress. It's supposed to be BLUE! >__<"
No, Patty, they didn't! I saw a pic of her online. She's really cute! They are roughly 16" in height.